Being able to put the “personal” in personal finance management may be the surest path to winning Best of Show at a Finovate event. In New York, Yodlee introduced its “shared finances” PFM app, Tandem. Tandem’s use cases ranged from the woman able to co-manage the finances of a college age son (without dealing directly with “the ex”) to adult siblings collaborating via the app to help parents with their accounts. The technology impressed by showing attendees exactly how the mobile solution made managing money easier. The international launch of Tandem in Singapore was equally adept at accentuating the personal. From the Indian ex-pat sending money to help pay for his parents’ new roof, to providing some not-too-tough love to a free-spending son newly at college, the Yodlee presentation succeeded in turning the abstraction of “financial circles” into something the average Mom, Dad, son or daughter can understand and appreciate. Tandem showed how it can help individuals and families manage those personal relationships that are also financial relationships. 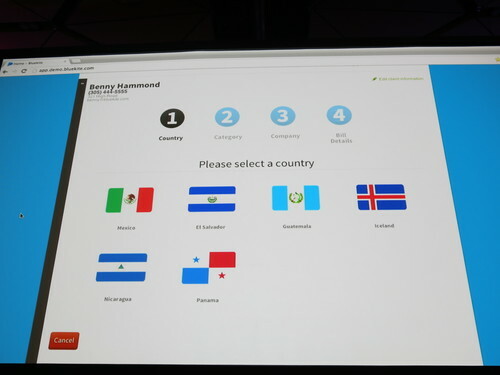 As the market for PFM solutions becomes more competitive, Yodlee’s demo based on regionally-familiar use cases helped distinguished the international launch of this new entrant to the field. Tandem is as attractive as any other personal finance management app on the market. 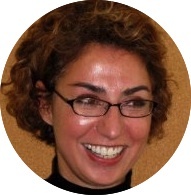 But what helps to set the solution apart is its embrace of the “shared finances” concept. As Katy Gibson, VP of Applications, points out in our brief conversation below, managing shared finances “is something people all over the world have to do.” Tandem honors the privacy and sensitivity of those relationships while making it that much easier to negotiate them. To see Yodlee’s Best of Show winning demo, click here. 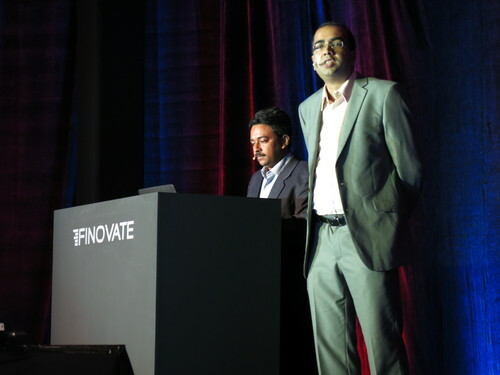 Finovate: Tandem earned Best of Show honors at FinovateFall, and was again a crowd-favorite at FinovateAsia, winning Best of Show in Singapore this year as part of the technology’s international launch. Different audiences, same positive reaction. Why so? Katy Gibson: At its core, Tandem does something very simple – it makes it easier than ever to talk about and manage shared finances which is something people all over the world have to do. Financial relationships are different wherever you go, of course, but we’ve designed Tandem to be versatile and flexible so that it can accommodate international differences. 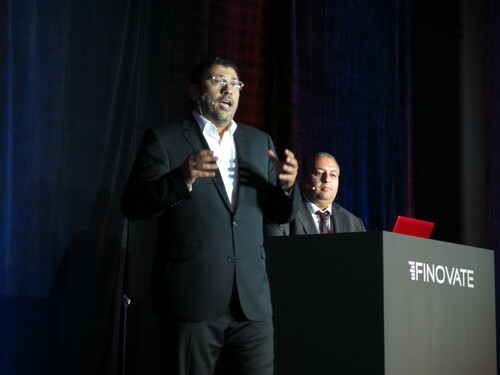 Finovate: The idea of financial circles within shared finances is what helps distinguish Tandem from other PFM solutions on the market. The idea of different circles hasn’t panned out in social media in general (compare the languishing Google+ to popular Facebook). Why do circles work so well when it comes to PFM and Tandem? Gibson: Relationships to finances are very different than the general social relationships found in Facebook and Google+. When it comes to money, relationships are more private and more sensitive – and differ drastically between different people. Circles is the best convention to define those relationships. Separating relationships and their associated conversations and transactions into circles make them much easier to keep track of, maintain and define – especially when a large group of people is working on or talking about something at the same time. Also, many of people’s financial relationships don’t overlap. So separate financial circles let you talk about and manage money very easily without sacrificing any privacy or security. 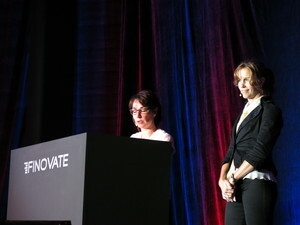 Finovate: What is the upside for banks and providers to make Yodlee’s Tandem available to their customers? Gibson: It’s hard to pick just one! Ultimately, because it’s to banks’ benefit to give their customers tools they love, that make their financial lives easier – which Tandem does in spades. Customers who feel supported by their bank stay loyal to their bank, so by offering a unique tool like Tandem, banks can keep their customers happy. Also, the more customers use Tandem, the more insight banks gain into their financial habits and needs – who they manage their money with, how and why they’re spending money instead of just what they spend it on. So banks are able to present their customers with extraordinary relevant offerings across their entire range of products and solutions – which is great from a sales perspective, and once again increases loyalty by giving customers comprehensive, personalized support. 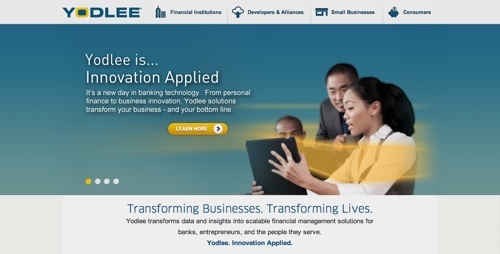 Finovate: What’s next from Yodlee? Can we expect further innovation within Tandem? What sort of functionality might be developed for the app over the next 3-6 months? Gibson: We’re always innovating and looking for ways to make our products and services more powerful, and though we’re not ready to make any announcements at the moment, we look forward to surprising you with what’s next when we’re ready! To see Kofax’s Best of Show winning demo, click here. Finovate: Why do you think Kofax won Best of Show at FinovateAsia 2013? Drew Hyatt: Kofax Mobile Capture technology won because it’s a very unique solution that gives consumers the ability to turn the cameras on their smart phones into advanced, real-time scanning/input devices. This was the first time the solution was shown to the financial community in Asia and the response was incredibly positive. Attendees were very impressed with how the solution can scan a driver’s license or other forms of ID and documents, extract that data, send it back to consumers for validation, and then insert it into the systems of record or whatever type of workflow the financial institution is using. Once they saw the entire process in action, it all made sense. 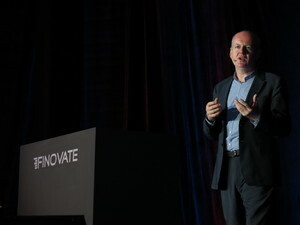 Finovate: One of the concepts emphasized from the stage in Singapore was the idea of the expanding capabilities of smart devices, especially smart phones, as a key innovation driver, from document capture to authentication. Is there smart device functionality that has been overlooked and has yet to be tapped into? Drew: Yes. What we’ve developed is still in the very early stages of implementation. Right now the camera is primarily being used to get information from documents and IDs. But in the future, we’ll be able to capture and extract critical data from images of objects and goods and services. We’ll also see more applications evolve as the processors in the mobile device become more powerful. Essentially everyone will have a very powerful laptop or server in their hands, which will enhance the types of features that financial institutions are able to offer customers. 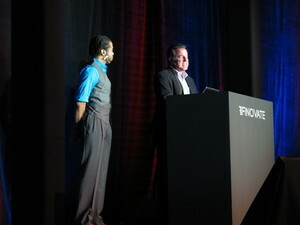 Finovate: From the stage in Singapore, you teased a few features that you were not able to demo in the allotted time. Can you elaborate on some of those features and use cases? Drew: One of those use cases was giving customers the ability to pay bills or enter bill information into the bank’s payment system. There’s a growing segment of consumers who don’t like to type information on computers and who just want to tap on options on their mobile devices. Kofax is eliminating the need to read, copy and type information from bills and enter data manually into fields. The technology is enabling consumers to automate the process and save time by simply capturing and extracting the information with one photo. Finovate: What can we look forward to from Kofax over the next 3-6 months? 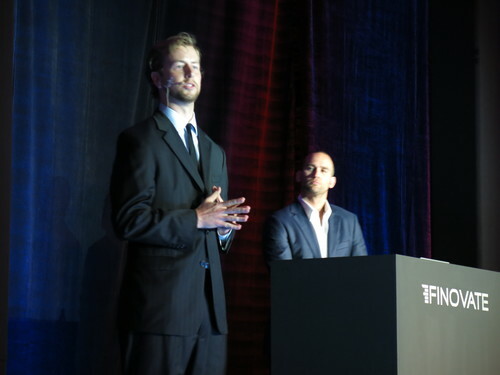 Drew: Kofax has a wide range of products it will be introducing in the near future. Most of these innovations center around expanding the use of consumers’ cameras to make their lives easier while making data capture and data management processes for financial institutions shorter, more efficient and more cost effective. 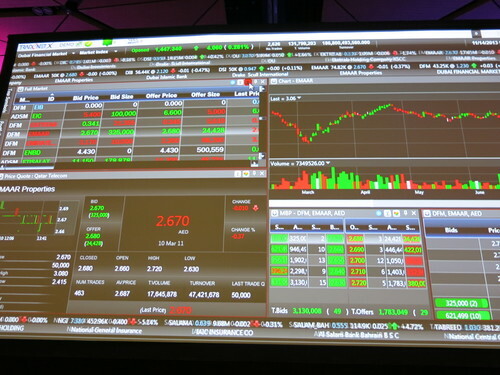 In winning Best of Show for a second time (the first was at FinovateSpring 2012 in San Francisco), Neil Costigan’s BehavioSec revealed that it has plenty to show – and tell. 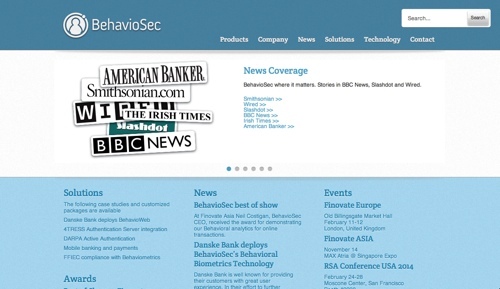 As a specialist in the field of biometric authentication, BehavioSec has leveraged its “continuously authenticating” algorithms to provide security solutions for e-merchants and mobile commerce. And as a crowd-pleasing presentation of security technology, BehavioSec’s keystroke and gesture pattern-based authentication demonstrates just enough of the “wow” factor to make audiences feel they are seeing tomorrow’s technology today. 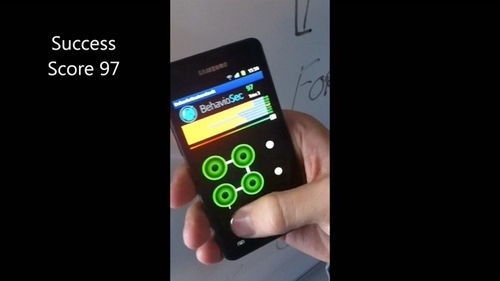 To see the video of BehavioSec’s Best of Show winning demo, click here. 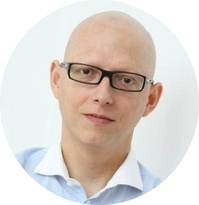 BehavioSec emphasizes removing the burden of security from the shoulders of end users, and gives technology the ability to improve over time due to continuous authentication provide a unique solution in the security space. 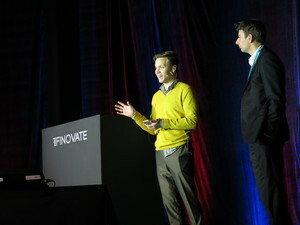 Finovate: When you won Best of Show at FinovateSpring 2012, you said the single most compelling benefit of BehavioSec’s mobile security solution was “transparency” and a “fantastic user experience.” What has been the most significant development in BehavioSec that has led to winning Best of Show again a year later? Costigan: I think our success in the market throughout 2013 has led to a “feedback loop” where we have really gained customer suggestions to enhance the technology. I think it shows that we listen and improve, and that we speak more from real world experience now. Finovate: Also a year ago you talked about how your technology helped “identify abnormal behavior” and that you hoped to expand the solution by offering to help customers decide “appropriate next steps aligned with the level of risk.” Have you continued down this path? Costigan: Yes, we’ve opened up our APIs and formats and added the idea of policy triggers. We’ve also integrated more with the ecosystem that is around us. Finovate: A point of emphasis for BehavioSec seems to be removing the burden of security from the shoulders of the end user. Why is this important? 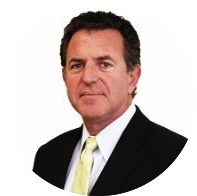 Costigan: In security, the ‘user’ is actually the weak link. Make the security too much of a burden and the end user tends to ignore it, or subvert it for their own convenience. Think of password managers being like the user propping up a big safe door with a chair. The user expects the bank, payment service, or eCommerce site to solve the security issue, not be a part of it. 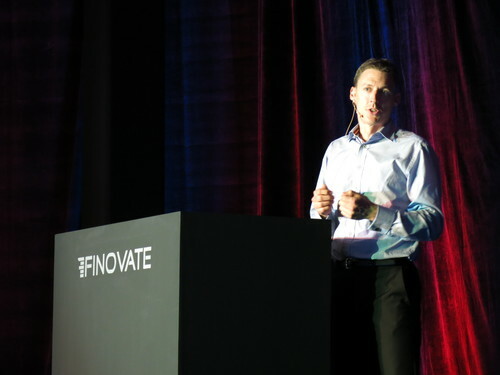 Finovate: What are some of the advantages of innovating in a country like Sweden? In what ways are Northern European markets different from those in other parts of Europe when it comes to security issues? Costigan: Actually it can be a burden! I’m not from the Nordics myself. I’m Irish. So I find this new market fascinating, how different it is from the rest of Europe. What I have picked up over the last few years is that there is little to no fraud here. Hard to be selling anti-fraud solutions to people who don’t need them! I am half-joking. The Internet removes these barriers. I believe this Northern European market is a trendsetter for a technology update. What works here tends to mirror what will happen elsewhere. Our references here are taken as a good bellwether of what will happen in other markets. Bringing our second event in Singapore to a close, here’s TradeNet presenting the TradeNet Store. Product distribution strategy: Through financial institutions. Brokers make the product available to their customers through either their internet trading platform or a white-labeled version of TradeNet. 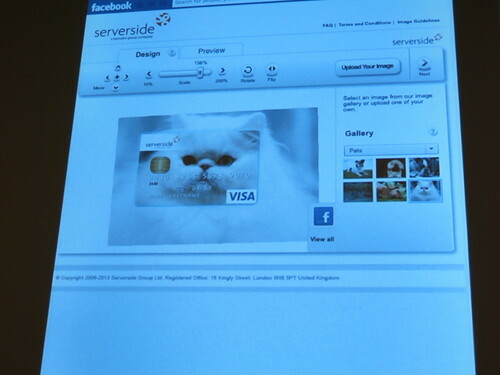 Our next presenter is Serverside Group, demoing their AllAboutMe Facebook app. “Serverside’s Facebook app is a great way for banks to form meaningful conversations with their cardholders. This dynamic app allows customers to design their own personalized card by uploading a picture from one of their Facebook galleries. When they are satisfied with their design, they submit it and, once approved, it will be posted on their wall showing off their new card design to all their friends. Metrics: Serverside Group Limited is based in the UK and now has 100% owned subsidiaries in the US and New Zealand. In 2012, Gemalto NV became a full owner and as of 2013 the company has grown to 50+ employees globally. “BlueKite’s real time bill payment platform is currently offered at affiliated Money Stores via a proprietary web portal (with our mobile application to be unveiled shortly) and is the perfect complement to traditional cash remittances. Metrics: BlueKite raised $1.5M seed funding through Peoplefund, closed a Series A round of funding in October 2013, and currently employs 41 people across 6 countries. Metrics: 35 member organization working with 10+ enterprises globally in Financial Services, Insurance and Technology. Surveyi2i has around 80 registered users and 2 paid clients since launch. 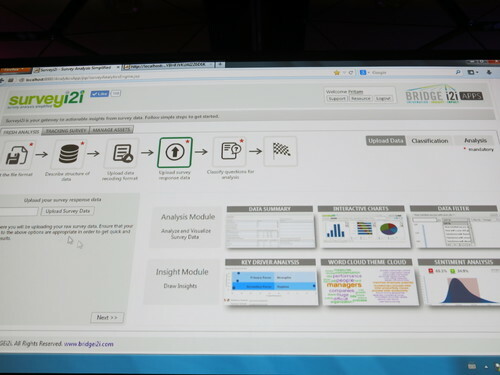 BRIDGEi2i has around 2,000 website visits per month with 10,000 page views and 1,000+ followers in social media. BRIDGEi2i has featured among the top 10 analytics and big data start-ups in several coveted publications.